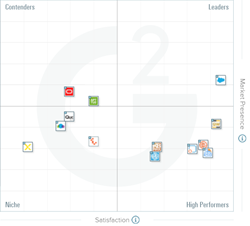 G2 Crowd, the world’s leading business software review platform, today released the Fall 2016 Configure, Price, Quote (CPQ) Software Grid report to help businesses make the best CPQ technology buying decision. Salesforce CPQ was named a Leader in the report, receiving strong customer satisfaction scores with a large market presence. •The report is based on more than 420 reviews written by business professionals. •Of the 42 products listed in G2 Crowd’s CPQ category, the ranked products each received ten or more reviews to qualify for inclusion on the Grid.